This week I was contacted by a potential new student asking for private classes in Brazilian Jiu-Jitsu. He asked for my rates (My personal training sessions in martial arts are usually pricey to be honest), and right away he asked to schedule his first session without any hesitation. He had never trained any martial arts before in his life. I usually offer free trial group classes to help people evaluate if our programs are what they are looking for, and it is unusual to find someone willing to pay a high fee for a personal training without even having met me before. So, the day of his private class came and we met. Super nice guy; he looked shy, but excited to try BJJ for the first time. As I was showing how to wear the uniform I decided to ask him why he decided to schedule a private class before trying a group class. His answer kind of shocked me: He told me that he researched online reading many articles or posts about how bad were the first sessions of some students (or prospect students) at some schools. According to Joe (fictional name), these posts or comments described how the new students at those places were taking some abuse from more experienced practitioners. Well, that is pretty discouraging for someone new. Joe also mentioned that he went to another big school but the impression he had was that the main instructor was more concerned in talking about his own success in life rather than focusing in the martial arts aspect. We had a great first session. 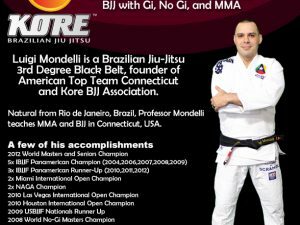 Joe learned first a little bit about the history of BJJ, my lineage, and how Brazilian Jiu-Jitsu works. We practiced a few basic moves, some “sweeps” and submissions. He loved it! Joe also said that after observing one of our classes, he liked the group atmosphere. I got home, but I could not stop thinking about his concerns, what he read online, and his experience observing classes at these other places. I decided to list here a few things that I believe anyone looking to start training should look before joining any place. Regardless of what style of martial arts you are looking for (including BJJ, Muay Thai, Judo, Karate, and even MMA), check if the school carries some positive traditions. Simple traditions such as bowing before entering or exiting the mats, bowing in the beginning and end of classes, and some other small formalities helps to build a culture, character, and they aid in keeping everyone in line. Good people won’t mind following some rules such as: uniforms must be always clean, students must be on time, no bad language, etc. I believe that every school has its own particular culture and rules of etiquette. There is not a set formula, common sense is the foundation. Also, I believe that a Professor, Sensei, Instructor, or however you call it, must be respectful, not authoritarian, so the school becomes a community but not a cult. A real Martial Artist will help the beginners, sharing his or her knowledge and time with the newbies. And remember, once you start your journey, even as a white belt, you will be already a martial artist. Get it? Don’t get me wrong, competitions are an important part of Brazilian Jiu-Jitsu, but schools where competitions, medals, and results are too emphasized, tend to be not so friendly towards new people (depending on their goals). Competitors go after results, most after individual results only. More often, full time competitors are looking always for what is best for them, and not for the team in general. Many switch teams if the training is not “hard enough” for them. I believe that for anyone to thrive, the support of your entire team is crucial; the better my teammates become, the better I will become. Do you see how I think? The team comes first, with my team I can accomplish all. My victory is mine…and theirs. When you go visit a team observe what kind of people are training. A good school will have a good diversity of people with different goals. Some will be there just as a hobby, others thinking on self-defense. Others looking for a way to better their lives. Many people decide to train just to help with their self-esteem, self-confidence, to lose weight, or to find sometime for themselves. Imagine someone dealing with anxiety or depression having to spar or grapple with someone that cares only about the next gold medal. In BJJ for instance, competitions can help set the bar raising everyone’s skills, even if just a few students are competitors. Those will bring back new techniques to the school, they should share what they learned with everyone else, bettering even that middle age husband that is there just to get rid of some everyday stress with his other teammates. A good school will offer elective ‘Competition Classes’ or some sort of heavier training to prepare the competitors. Instead of making that newly mom that is there to learn how to defend herself and to lose weight, go with the 20 years old guy that is tearing his divisions up in tournaments. If you go visit a school, I suggest that you sit in and watch a class first. See if you can spot any “Mat Bully”; sometimes it can be just someone being obnoxious and disrespectful toward others. In other cases it could be a higher rank sparing or grappling hard with a lower rank or beginner. It is not unusual to find these characters around. They are everywhere: in your school. workplace, or anywhere else. Now, it is up to the instructor to take action making sure that no one bully any one in or out of class. Now, let me go, time to go teach great people!